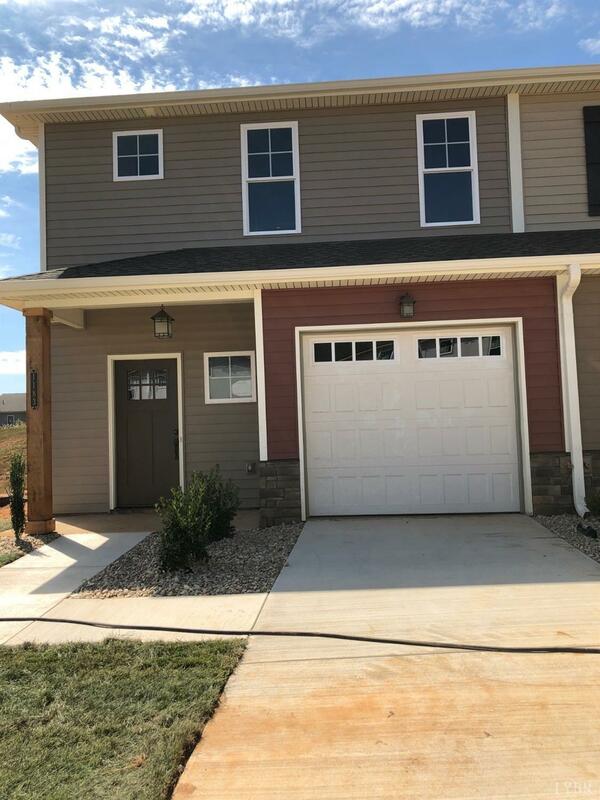 This is the final phases of the Townes at Farmington with completion date of this home September of 2019. Maintenance Free End Unit Townhome with an Open Concept floor plan & 1 car garage. The foyer bring you into the large great room, offering tons of natural light. Kitchen boasts custom cabinetry, seamless granite countertops, stainless steel appliance package, pantry, & breakfast bar along the peninsula, as well as a separate dining area. Upstairs hosts the Master Suite with His N' Her closets & attached bath featuring a dual sink vanity and walk-in shower. 2 additional bedrooms, full bath, & laundry on the same level for your convenience. Entertain this summer on the 10X20 back patio, complete with attached storage unit. Or sip morning coffee on the front porch. The HOA includes lawn care, trash, & access to the clubhouse gym, movie theatre, & a meeting room. (Nominal fee for pool) Call agent for a private showing.